During the 1950s, Haiti was at the vanguard of world-class tourism in the Caribbean, to the extent that government representatives from the Dominican Republic made several trips to Haiti to learn the secrets of its success. 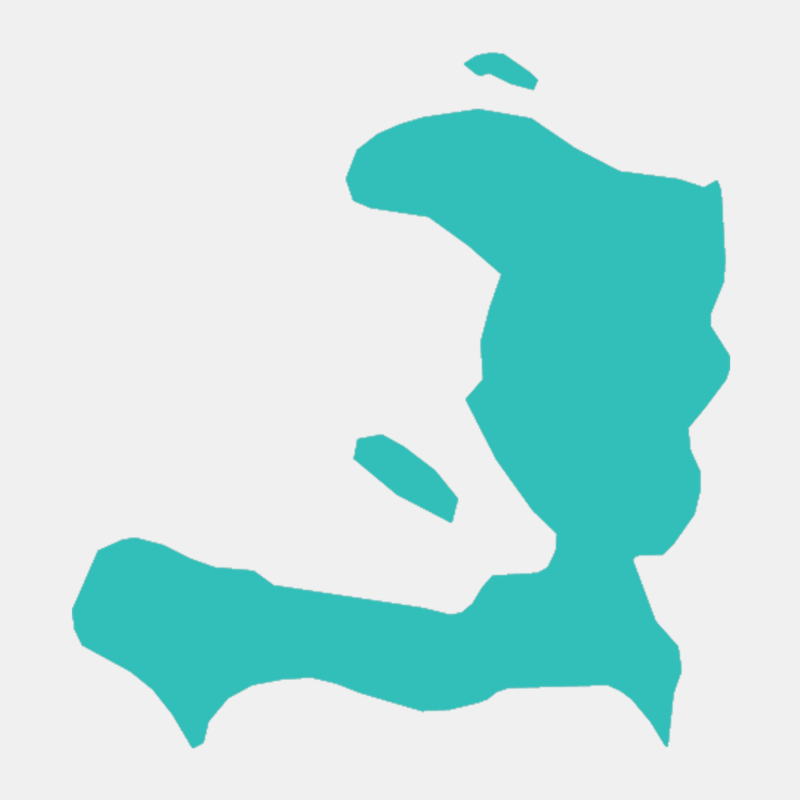 It may be a surprise to know that Haiti is not an island in itself, but forms the western half of the island of Hispaniola, with the Dominican Republic to the east. While the Dominican Republic has taken the lessons from its neighbour and developed continually over time — becoming famous for its beaches, Latin cuisine and Spanish colonial architecture — Haiti has been left in the shadows. The devastation caused by the massive earthquake in 2010 and Hurricane Matthew in 2016 has left the country in tatters. This has been compounded by poor infrastructure and decades of oppressive dictatorship under the Duvalier regimes. 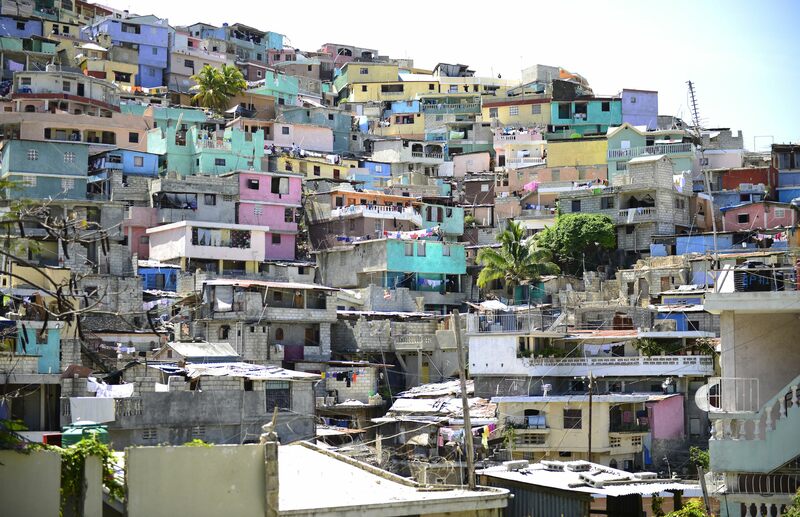 The coloured houses of Port-au-Prince, Haiti’s capital city. Creativity has always been central to Haitian culture. The challenging socio-economic conditions over the last 60 or so years have seen Haitian people channelling this innate creativity to give rise to a ‘make do and mend’ culture, transforming the old into the new. Art in Haiti can be seen as an intriguing combination of African heritage, European and American influences, with prominent religious references. Haitian Vodou (or Voodoo) has a unique look and feel of its own, being an amalgamation of West African beliefs with traditional Catholicism. Art can be seen everywhere in Haiti. 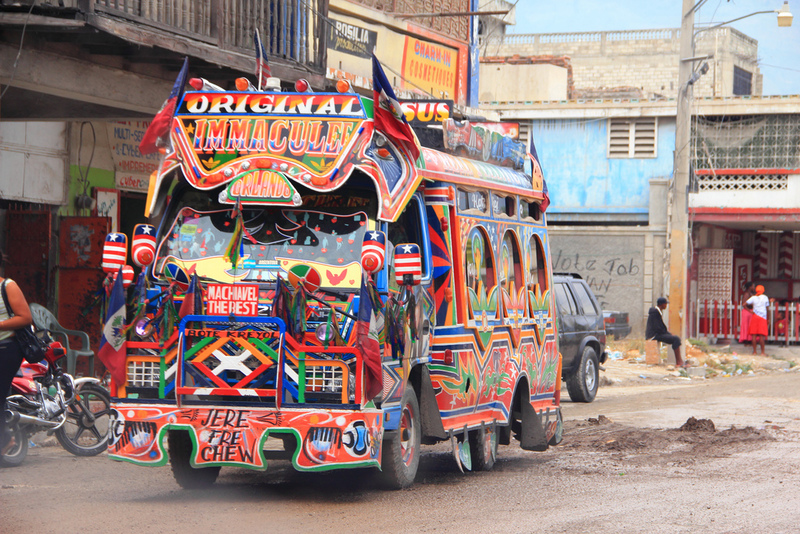 In the capital, Port-au-Prince, canvases of all sizes can be seen lining the street walls; murals adorn the sides of buildings; elaborately decorated public buses — called ‘tap taps’, as patrons tap on the side with a coin when they want to alight — abound. It’s a bombardment of colour and imagery. The coastal town of Jacmel is the home of traditional papier mâché craft, and the metal workers of Croix-des-Bouquets in Port-au-Prince are renowned for turning gallon oil drums into works of art. The Haitian Diaspora — made up of those people who fled the country between 1950-1990 to escape the brutal regimes — have contributed to an awareness of Haitian artistry across North America, where it’s estimated around a million Haitians currently reside. 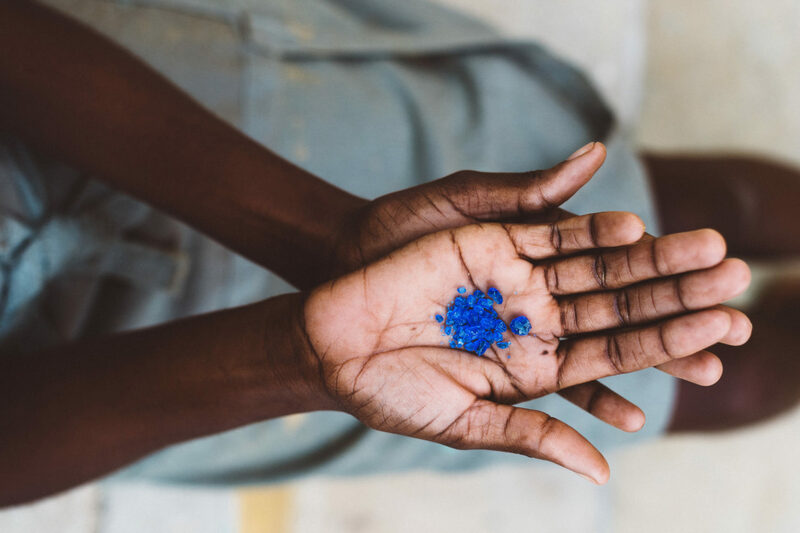 Haitians who have since returned to their home country have brought contemporary influences back to Haiti, with many new, creative businesses being established in Port-au-Prince. These businesses successfully combine Haitian talent and creativity to create modern and internationally marketable products. In 2008, American Shelley Clay visited Haiti to adopt a child. 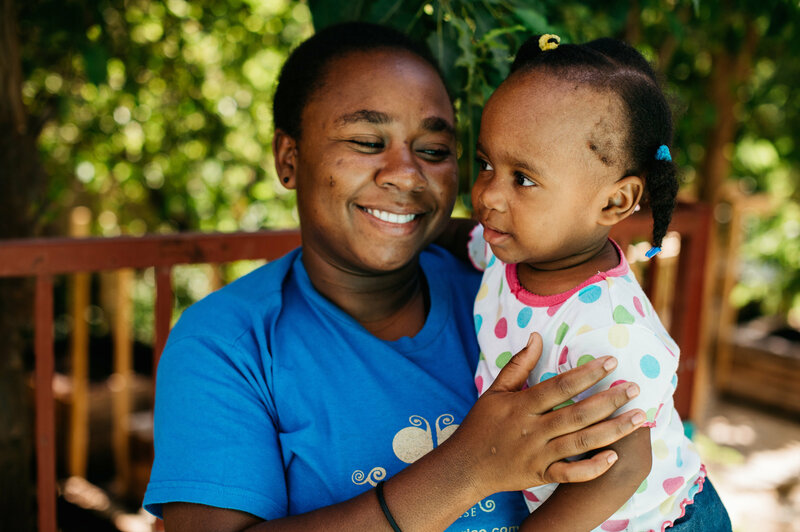 After spending time at the orphanage, she realised that the majority of children had living parents or relatives — they were simply unable to afford to look after their children. Shelley decided to address the problem by creating a business that employed mothers as artisans, making unique, handcrafted jewellery and artworks; Papillon Enterprise was born. Papillon’s paper beads were made from old cereal boxes and its ceramic beads were made from clay sourced from Haiti’s central plateau. Originally, the clay had been used to make ‘cakes’ to fill the tummies of hungry babies. 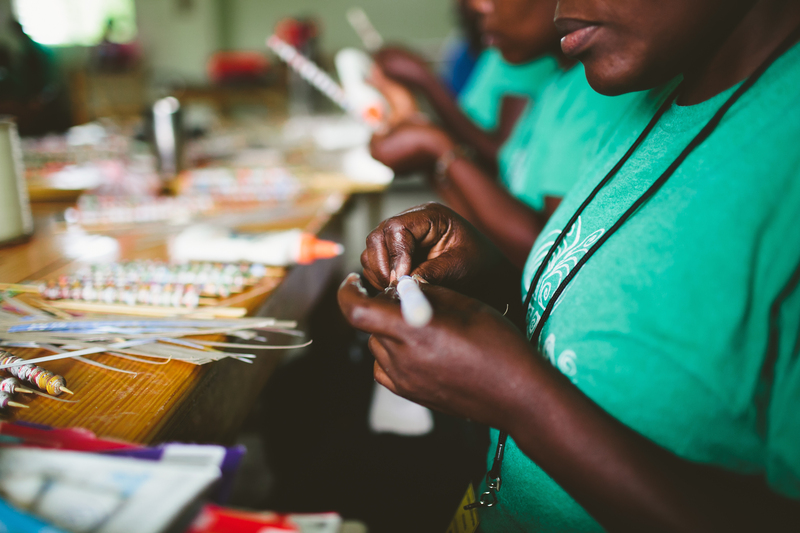 Shelley’s workshop has grown from a handful of women making jewellery in her living room to a business that employs approximately 200 Haitian parents. Her workshop offers learning and development programs, an onsite childcare centre, access to bank accounts, health insurance and a living wage three times the minimum standard. She has recently opened a flagship store in the US, further promoting Haitian goods overseas. Many celebrities have visited the workshop in Port-au-Prince, including Donna Karan — who has used the paper beads in some of her designs — Stella Jean, Kim Kardashian, Bill Clinton and Sean Penn. Alongside Papillon, other independent workshops championing Haitian art and design include Haiti Design Co-Op, Pascal Theard and Haifu. 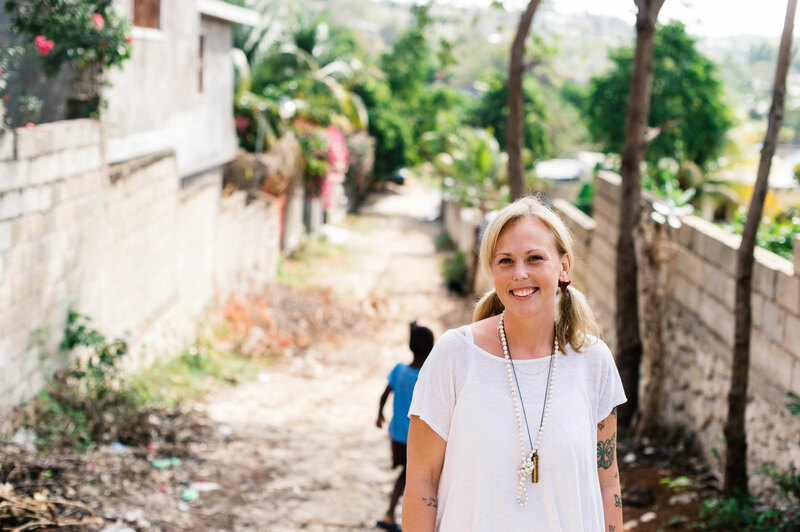 Claire Diment began working with Shelley at Papillon in 2014 when she moved to Haiti with her husband Ian. During the past three years working with Papillon, Claire has seen the business shift from being an artisan-led enterprise to one that’s implemented robust processes, such as inventory control and e-commerce functionality. As the business has grown, so has its importance as part of the community it serves; more and more mothers each day line up outside the main building asking for work to help feed their families. Lives literally depend on the business keeping momentum. Scotch Bonnet Store sells many products from Haiti (including those of Papillon Enterprise) alongside others from Australian designers and brands. 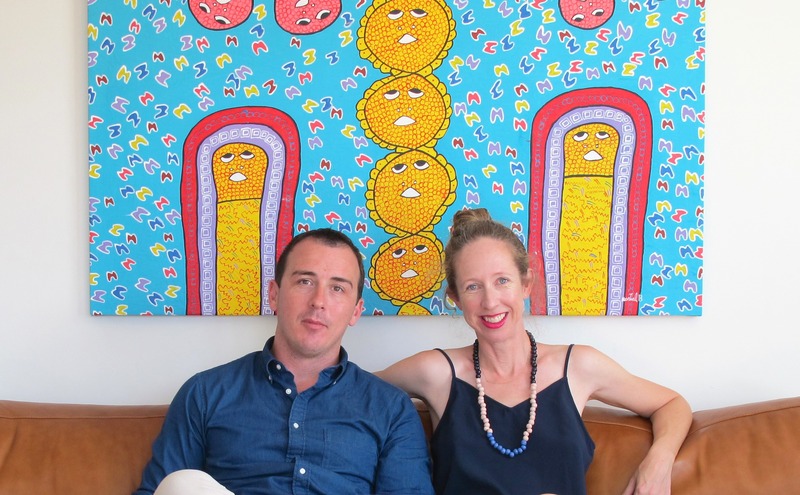 Inspired by their time in Haiti, Claire and her husband are also producing their own range of gifts and homewares under the brand name Yankee Vingt-Deux (Yankee 22), the name of their house in Port-au-Prince. Ian Tulloch and Claire Diment, Co-Founders of Scotch Bonnet Store. 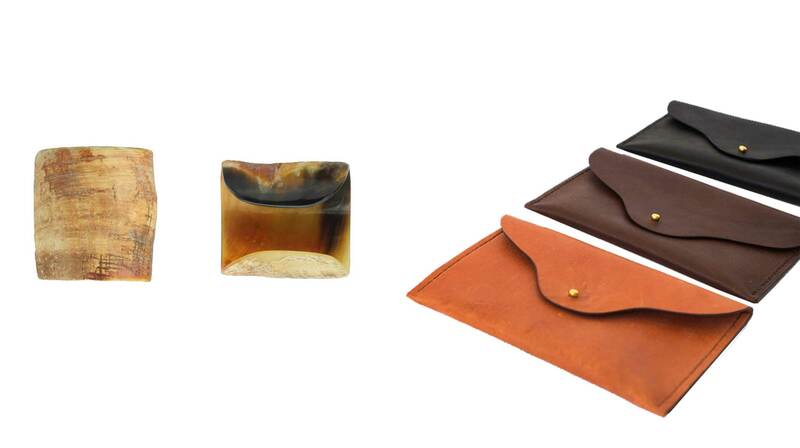 Cow horn is ethically gathered and turned into several kinds of products, the most popular being the cuff-style bangle. Each piece is unique in terms of its marking and colouring, which, Claire says, customers enjoy. Co-Founder of Scotch Bonnet Store, Ian Tulloch, believes that consumers today are becoming increasingly conscious about where their goods come from. “Whilst the term ‘ethically made’ means something different to everyone, what’s clear is that people are demanding to know how products are made, and by who, before they make their purchasing decisions,” he explains.